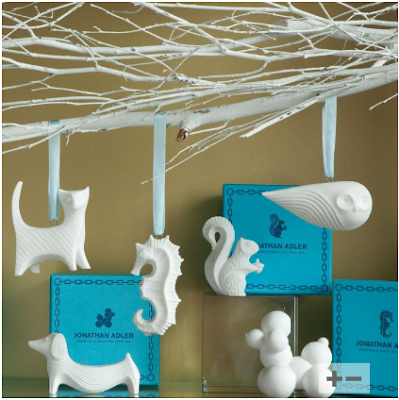 Why yes, I would like one of each of these darling ornaments by the amazing Jonathan Adler. Especially the squirrel and the seahorse. So perfect and simple and white. Images via Jonathan Adler. First spotted on Parcel Post.